Ask for a Sign from Above! Once again, we are in the midst of the beautiful season of Advent, and we strive to remember, understand and celebrate the depth of the mystery of God’s love with a heart renewed. I do not know about you, but for me it is one of the most stressful seasons of the year. I painfully feel the tension between material and spiritual life, the desire to pray with Mary of Bethany and to deal with a thousand preparations with her sister Martha. Martha as a good friend of our Lord intercedes for us, as we want to provide the necessary environment so others may hear the word of God. In the Archdiocese of Washington, we are discerning new strategies for the New Evangelization. This Advent we are inviting our parishioners to put a sign of their faith in public, among their neighbors. The campaign asks to put a yard sign in their homes, like the ones political candidates use during their campaigns. The sign shows the profile of the three Magi following the star to the stable in Bethlehem and the slogan “Find the perfect gift,” which is the direction of a new webpage dedicated to exalt Jesus as the perfect gift of God to us. The web page has a video message from Cardinal Wuerl and other reflections to help people find the true meaning of Christmas, including an invitation find the nearest church to celebrate Christmas. With this campaign, we decided to compete with consumerism to make Christ the center of attention during Advent and Christmas. Although it is tempting to give more details of this innovative and creative campaign, I would like to recall the public stand God took for us in our continent. More than 400 years ago, in 1531, the message of love of the Virgin Mary of Guadalupe, who personally appeared to communicate good news in a new territory, won her the title “star of the evangelization” in our American continent. No doubt, you all heard in one way or another the message of tender love announced to St. Juan Diego, the Mexican Indian whom she asked for help to establish a temple. There have been written hundreds and hundreds of books and thousands and millions of homilies about this beautiful testimony of love, protection, understanding and desire to include the Native Indians –my ancestors– in the mission of spreading the true faith. The message of the Virgin Mary quickly achieved great conversion results and restored the sense of dignity to the indigenous peoples, including them in the task of building the foundations of the gospel message of Jesus Christ. Our Lady accomplished this by taking into account the wishes and aspirations of the recipients of the message, who had a deep sense and desire to worship God. No doubt, the Virgin Mary has a natural talent for communicating good news! No doubt, our blessed Mother wanted to give a public sign of the love of his Son for the newly conquered Indians! 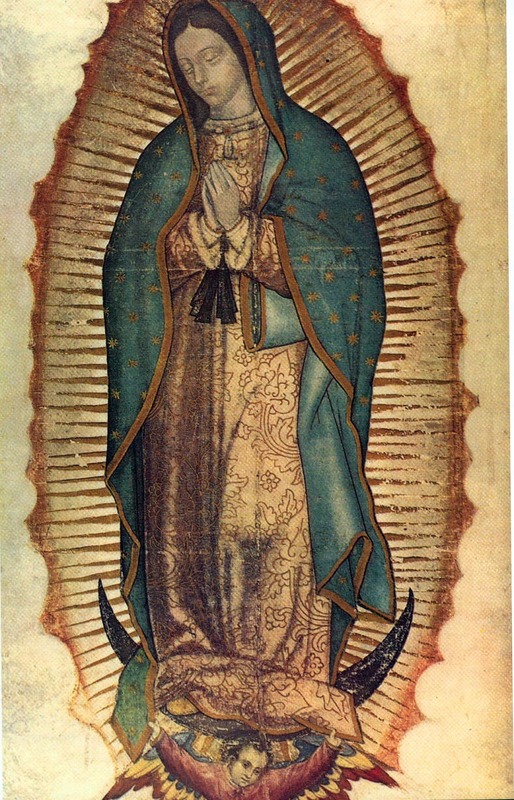 To conclude, let us remember that God is still communicating with us through the image of Our Lady of Guadalupe. When her image appeared on San Juan Diego’s tilma (mantle) –still in existence today– we can see details of symbolic depth and scientific accuracy, especially in the eyes of our Lady and the position of the stars on her cape. Visit this page for a list of the supernatural details of the image: https://catholiceducation.org/articles/religion/re0592.html. Or, to read in English the story of the apparitions visit: https://campus.udayton.edu/mary/meditations/guadalupe.html. And may the mystery of God’s saving plan continue to be communicated and lived in us as we follow the example of Mary and say “let I be done to me according to thy will”. Happy Advent! Magdalena Gutierrez is the Coordinator of Evangelization and Hispanic RCIA for the Archdiocese of Washington. She contributes a periodic column about evangelization with Hispanic communities for Evangelization Exchange.